There are traditional acoustic guitars made of wood, and now there are also those made entirely out of carbon fiber reinforced plastic (CFRP). Do these plastic guitars sound like their wooden forbearers? Guess what, you can use computer modeling to find out. 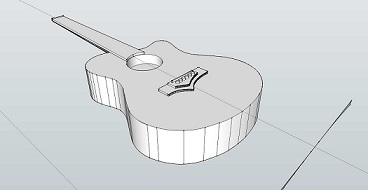 AutoCAD® model of an acoustic guitar. Image courtesy of J. O’Donnell and G. McRobbie. In 2011 a couple of researchers from University of the West of Scotland presented their work on the acoustic response of CFRP plates at the COMSOL Conference in Stuttgart. Back then, they demonstrated that actual and virtual results of the plates’ acoustic response are strongly correlated. Now they show us how they’re building on their initial research. This time, they presented their findings at the COMSOL Conference in Boston. In their paper “A Study into the Acoustic and Vibrational Effects of Carbon Fiber Reinforced Plastic as a Sole Manufacturing Material for Acoustic Guitars”, J. O’Donnell and G. McRobbie analyze the soundboard of a CFRP acoustic guitar using COMSOL Multiphysics and the Structural Mechanics Module. The first 10 Eigenfrequencies and their modal shapes were determined to investigate the acoustic and vibrational effects. 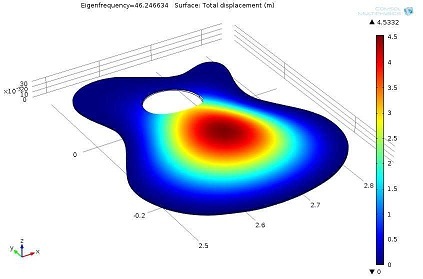 The model of the guitar was first constructed using AutoCAD®, and then the 3D model was imported into COMSOL for the Eigenfrequency analysis. Since the research pertained to the soundboard only at this stage, the edges of the soundboard were fixed and the top and bottom plates were free to vibrate (as true to life). First Eigenfrequency, 1:1 mode. Image courtesy of J. O’Donnell and G. McRobbie. As you can tell, the researchers are not yet done investigating the acoustic and vibrational effects of CFRP acoustic guitars. The results from the plate and soundboard are only the beginning. In the conclusions of their second paper, the authors state that “the results have shown that there is a consistent match between early and current studies for each individual Eigenmode”. 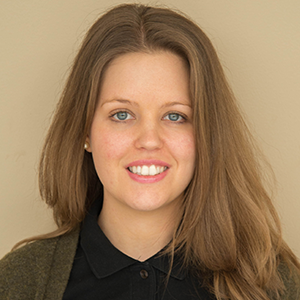 They also say that “the data gives the author full confidence to carry out further research in this area and to develop and refine techniques”. Let’s hope they conclude their research as indicated, and show us the results of a complete guitar. Perhaps we will see them at the COMSOL Conference 2013? AutoCAD is a registered trademark or trademark of Autodesk, Inc., and/or its subsidiaries and/or affiliates in the USA and/or other countries. LiveLink™ for AutoCAD® is not affiliated with, endorsed by, sponsored by, or supported by Autodesk, Inc., and/or its affiliates and/or subsidiaries.